Lau is a typical example of Kristian Ericsson’e practical thinking. 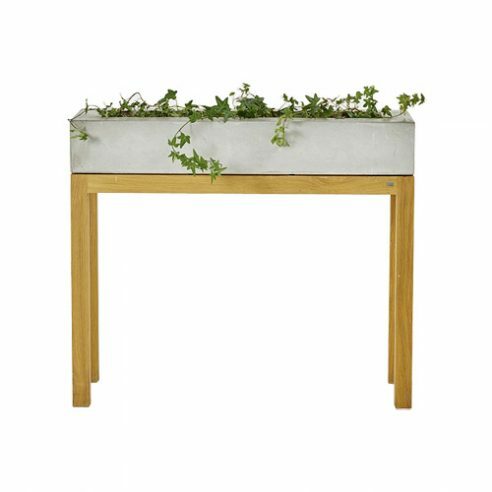 The beautifully cast concrete planter is supported on a frame of solid birch or oak the surfaces separated to protect the timber from moisture damage. The cast concrete has a sculptural quality that adds to the atheistic of the home environment.